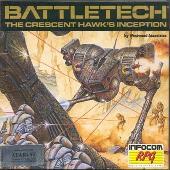 As the first and only RPG based on the well-known FASA giant robots universe (Battletech 2, not developed by Westwood, isn't an RPG but a turn-based tactical strategy game), The Crescent Hawk's Inception does not disappoint. Westwood again masterfully weaves an addictive blend of action and traditional RPG into a captivating game, with an engaging plot that follows the adventure of Mech pilot Jason Youngblood from his apprentice days and beyond. 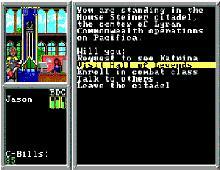 Truly a game that sets new standards for the genre, and foreshadows many successors to the FASA license. Two thumbs up!